Wall Street has been abuzz about finding the "next Chipotle." That's the reason why fast food IPOs have been hot. 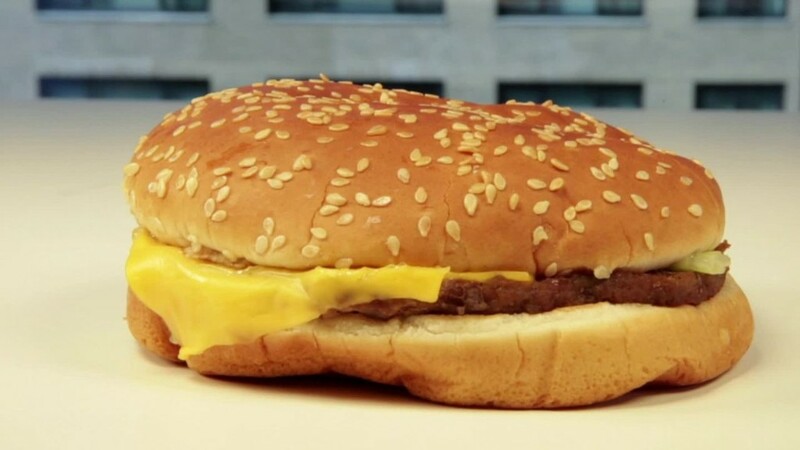 Since last year, many fast food companies debuted on the stock market. Their shares soared on the first day of trading and in subsequent weeks. No longer. Many of these stocks are now plummeting. Shake Shack, El Pollo Loco, Bojangles, Wingstop and Fogo de Chao are all down 20% or more in recent months. "We've had a number of disappointments," says Andy Barish, a restaurant analyst at Jefferies, which helped take all of those companies public. Bojangles and Fogo de Chao reported earnings earlier this week and Shake Shack and Wingstop announce results Thursday evening. Barish said investors' expectations were so high that "it was not sustainable." Despite falling stock prices, many of these restaurants have done well so far this year. In fact, the hot burger joint Shake Shack (SHAK)'s sales after its IPO has paced over 50% each quarter. It's even better than Chipotle's 26% quarterly growth trajectory following the burrito chain's IPO in 2006. However, it's worth remembering that Chipotle (CMG) had over 500 restaurants in 2006, while Shake Shack only has 71. It's easier, after all, to rack up higher sales within a smaller group of restaurants. Others have failed to measure up. Like Bojangles (BOJA). The southeast chicken and biscuit chain reported a 12% growth in sales in its third quarter after reporting 13% growth in the second quarter. While that's a pretty good growth rate elsewhere, it doesn't hold a candle to Chipotle's consistent red-hot growth. Just last month, Chipotle reported its worst quarterly sales growth in two years of 12%. No matter what the individual chains are doing, the overall expectations for all of them have been too high, experts say. 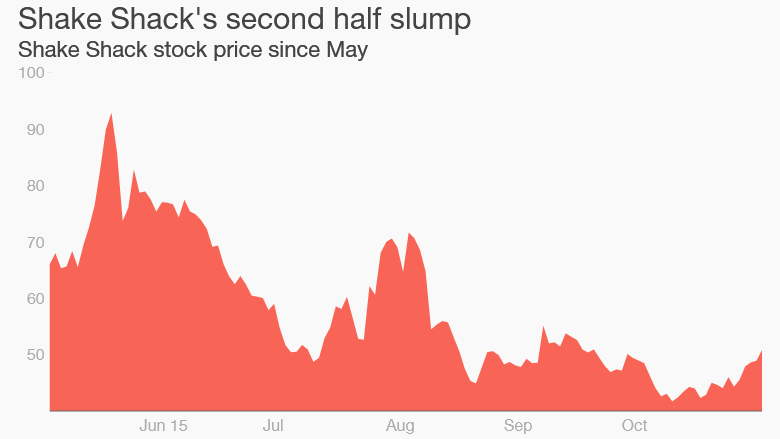 Since hitting a high of $96 a share in May, Shake Shack stock is down by about half to $49 a share. Even then, Shake Shack is extremely expensive -- its price-to-earnings ratio, a measure of a stock's value, is about 702. The P/E ratio for stocks in the S&P 500 is about 22. The crazy thing is that Shake Shack's valuation was nearly double that -- 1,326 -- in late May. "Shake Shack -- we're still a little concerned on the valuation," says Barish. He added: "It was really the [investor] sentiment that drove them up." Other new restaurants still have expensive stocks too. Wingstop (WING)'s P/E ratio is 74 -- three times the stock market's average. Some investors seem to be waking up. Fogo de Chao (FOGO)'s valuation fell off a cliff in late August from 25 to 1. Its stock debuted in June and its already down 40% since then. El Pollo Loco (LOCO)'s valuation has been cut in half since March, and its stock is down by over 40% over the same time too.